It doesn’t matter what skill you’re trying to improve; if you want to get better, you have to practice. However, there is more than one way to practice effectively. Research shows that mental practice, which is the act of going through specific motions in your head, can help you achieve significant progress in skills that you’re trying to improve. In the following article, you will see some evidence for the benefits of mental practice, learn why it works, and understand how you can use it in order to improve your performance in various domains. Mental practice (which is sometimes referred to as motor imagery) is the act of visualizing certain actions in your head, in order to help you prepare for when you have to perform them in reality. For example, in order to learn how to perform certain moves in your favorite sport, you can rehearse these moves mentally, by visualizing yourself performing them. Imagining the steps that you will go through when giving a public speech. Going over the moves for a dance routine in your head. Visualizing how you’re going to act during an important future meeting. Beyond these examples, there are numerous other ways in which you can use mental practice, since it can be applied in almost any area of life, including in sports, social interactions, and any other domain in which you can improve your performance by visualizing it in your head. A study which examined golfers showed that those who combined physical practice together with mental practice (where they went through the motions of golf in their head), performed better than golfers who only underwent physical practice, even though both groups spent the same amount of time practicing overall. 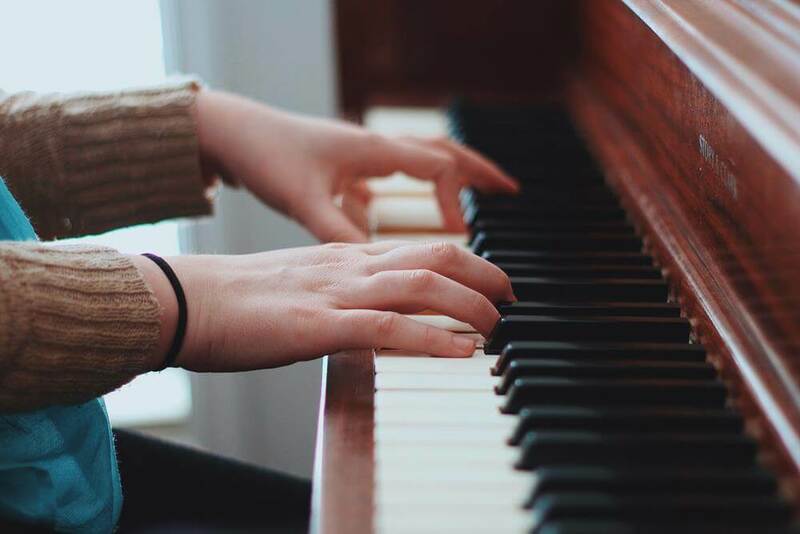 A study which looked at musicians found that mentally practicing new musical pieces helped pianists learn which notes they need to play. A study which examined surgeons showed that mental practice before surgery helped surgeons improve their technical ability and enhance their performance. A study which looked at patients recovering from a stroke found that mental practice helped these patients regain movement in limbs that they lost control of. Overall, research shows that mentally rehearsing certain actions mentally can be highly beneficial to people’s learning. Furthermore, mental practice can also help people in other ways, such as by increasing their confidence in their ability to perform the action that they practiced. While going through the motions in your head isn’t the same thing as performing them in reality, there is a lot of cognitive similarity in terms of how your brain interprets the two forms of practice. Essentially, even though your brain knows that you’re only visualizing the action in your head rather than performing it in reality, it interprets the mental actions in a way that is similar (but not identical) to the way it would have interpreted them if you had performed them in reality. An fMRI study of music-academy students who play the piano showed that there is significant activation in related areas in the brain during both music performance as well as during mental visualization of that performance. However, certain key areas related to motor execution are activated only during actual performance, and not during mental practice. Another fMRI study, which examined amateur and professional violinists, also showed that brain activations were similar, but not identical, during actual performance of music and during mental practice of that performance. Overall, this indicates that there is an overlap in the areas of the brain which are activated during physical performance of certain actions and during the mental visualization of those actions. In the next section, we will see how you can take advantage of this phenomenon, in order to benefit from your mental practice as much as possible. Odds are that you already used mental practice in various forms throughout your life. Doing it is pretty intuitive: any time you go through the motions of a necessary action in your head, you’re mentally-practicing that skill, even if you aren’t doing this with a conscious intention to learn and improve. However, you can get better results from choosing to integrate mental practice into your training in a more purposeful way. That is, instead of using it inconsistently, try to dedicate time specifically to utilizing this technique, just as you would dedicate time to regular practice. For example, if you train in your favorite sport 3 times a week, you could decide to take 10 minutes on days when you don’t train, and visualize the movements that you learned on the days when you do your main training. You can also conduct some mental practice right before the real performance, in order to envision the specific actions that you will perform. Doing this can help you prepare yourself mentally before the main event, and can also help you calm your nerves and relieve your anxiety. When deciding when to use mental practice, it’s important to keep in mind that this form of practice is intended to complement actual performance, and cannot replace it entirely. Therefore, the best thing to do is to take advantage of mental practice during times when you could not otherwise practice. For example, you could engage in mental practice when you are injured, and therefore can’t perform the physical action. Interestingly, mental practice can not only help you improve your skills in such cases, but can also help you retain your physical capabilities. This was shown, for example, by a study which found that mental visualization of physical exertion (e.g. imagining that you are lifting a heavy object), helps reduce strength loss during short-term muscle immobilization. Furthermore, the study also found that imagining that you are lifting a heavy object results in more muscle response than imagining that you are lifting a lighter object, which demonstrates the powerful cognitive connection between mental practice and physical performance. Mental practice can also help you train during “dead times” when you couldn’t otherwise do anything productive. This refers to time spent on activities such as riding the bus or waiting in line at the store. Instead of letting that time go to waste, you can now put it to a good use, since you don’t need anything to conduct this type of practice, aside from your own mind. You can also go through mental practice as you’re lying in bed trying to fall asleep. This is especially helpful if you tend to take a long time to fall asleep, and if doing so helps you unwind and prepare yourself for sleep. However, if you see that mentally practicing at this time ends up making it harder for you to fall asleep, you should avoid it. Overall, there are a variety of ways in which you can integrate mental practice into your routine, in order to improve your performance. This form of practice should complement your main practice, and can be especially beneficial to implement during times when you couldn’t otherwise practice. A review paper on the topic showed that in comparison with novices, experienced people tend to benefit more from mentally practicing their skills, and this effect is most notable when it comes to practicing physical tasks. The researchers who conducted the study suggest that this occurs because novices are often not familiar enough with the task that they want to practice in order to construct an accurate mental representation of it, an idea supported by other research on the topic. This doesn’t mean that you shouldn’t try using visualization techniques as a beginner, but it does mean that you should be wary and make sure that you’re familiar enough with the skill that you want to practice in order to visualize it properly. Most importantly, make sure that you’re going through the correct motions in your head, in order to avoid instilling bad habits, just as you would with regular, physical practice. In addition, if you’re a beginner and you find that mental practice isn’t helping you, this could be the reason why. If you suspect that this is the issue, consider waiting with mental-practice techniques for a while, and coming back to them when you’re a bit more experienced. Mental practice is the act of visualizing an action, by going through the motions which it involves in your head. Mental practice can help you improve your proficiency in various skills, and this method is currently used by a wide range of professionals, including athletes, musicians, and surgeons. Mental practice works because the brain treats actions that you visualize similarly to actions that you perform in reality, though there are, of course, some neurological differences in terms of how the two types of actions are represented in the brain. You can use mental practice to complement your main training, for example by visualizing an action right before you perform it, or you can use mental practice as a substitute when you can’t perform the physical action, for example because you are injured or because you don’t have the necessary tools at hand. In general, if you are already somewhat proficient at a certain skill you are more likely to benefit from mental practice, since novices sometimes struggle to visualize actions that they are not sufficiently familiar with.